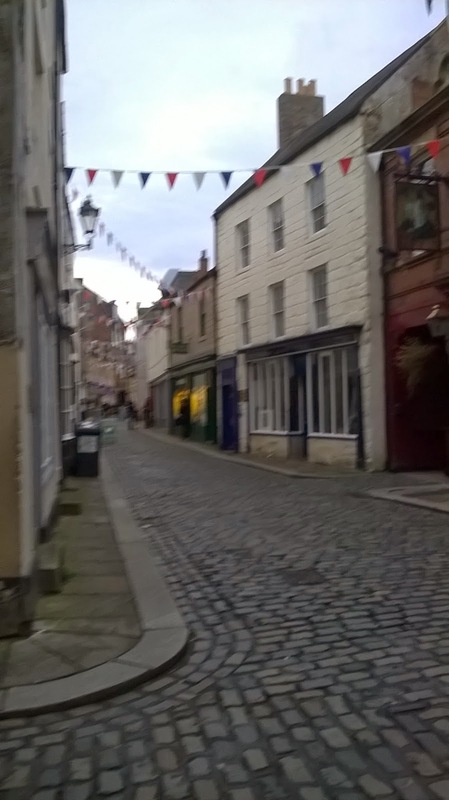 Shopping In Hexham . 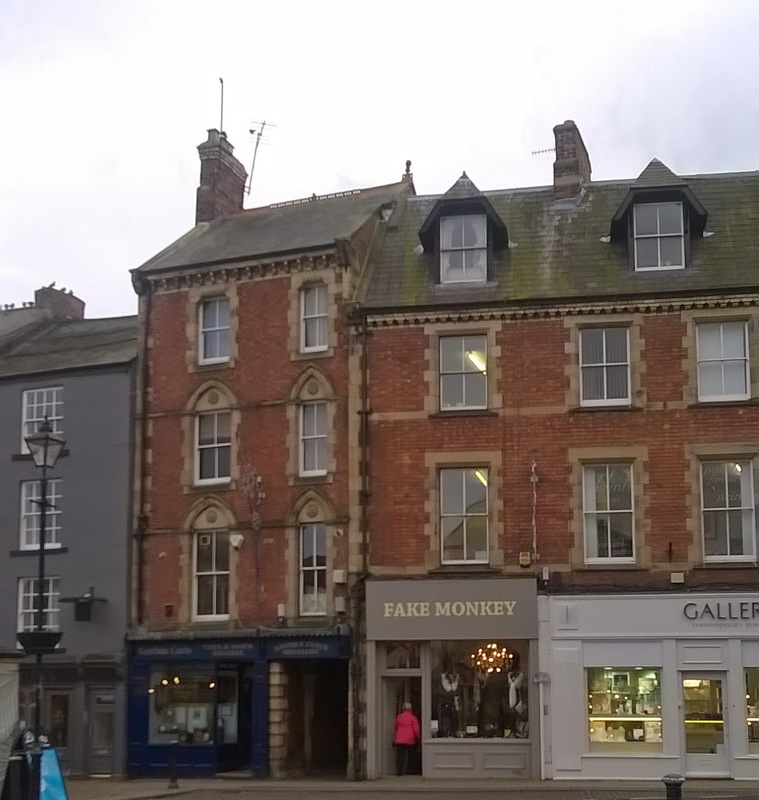 I sojourned in Hexham for an afternoon, and I completed my usual Charity shop rummage in forty minutes. 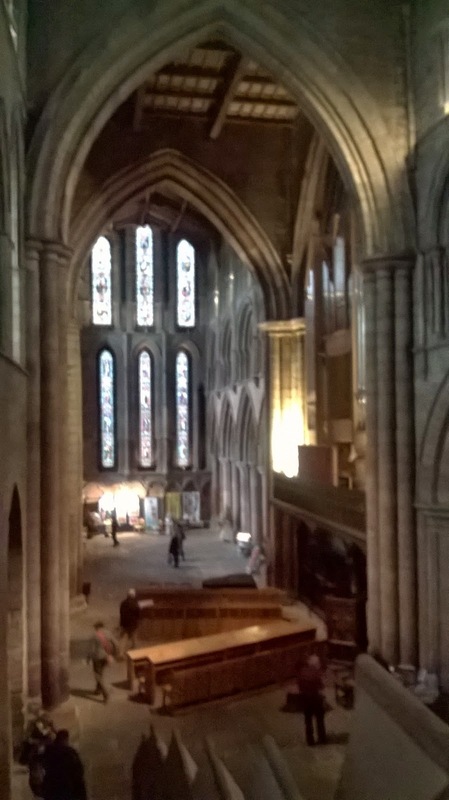 To be honest I spent most of time looking around Hexham Abbey, I have fallen in love with. Recently, I watched the Gothic season on BBC Four, which has lit my passion for Gothic Architecture, and I'm intrigued to learn more about the subject. 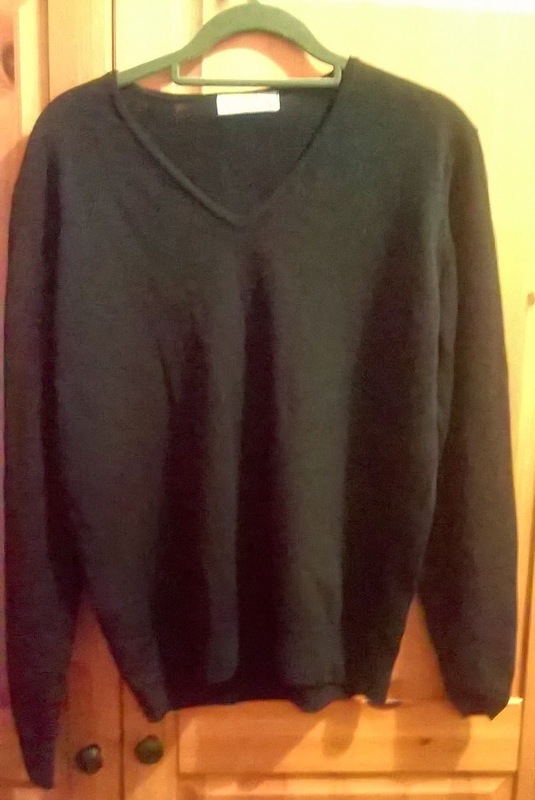 I found this beautiful wool jumper by M&S for £3, from Tynedale Hospice, it's Hexham's local hospice, a complete bargain. I got this amazing gothic pvc waist cincher and buckle studded belt. It a little worn, however looked amazing on. 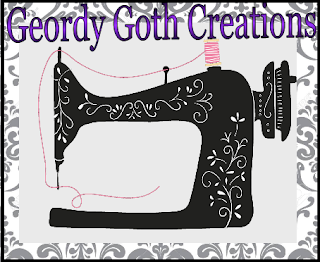 I bought this from the RSPC charity shop for 99p, it by Dorthy Perkins, which do something fantastic styles of gothic clothing considering it high street shop. 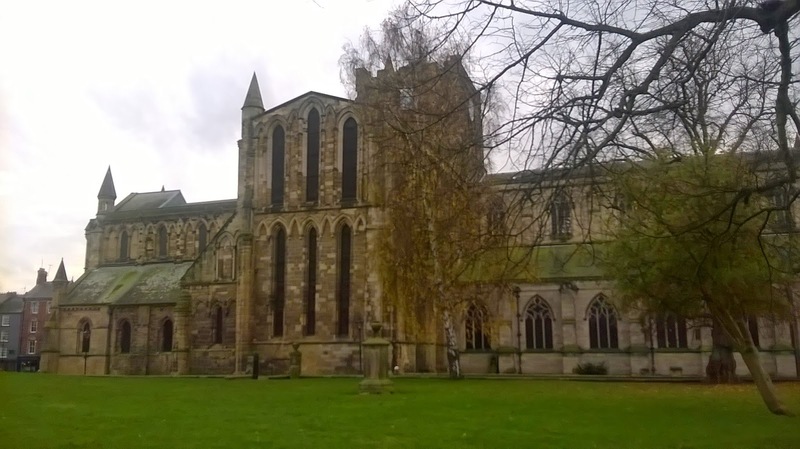 Hexham Abbey was built between, 674 - 678; established in 673 AD and dedicated to St. Andrew. It was built to house to Benedictine order of Monks, to further the spread of Christianity, and a place of pilgrimages for Christians. 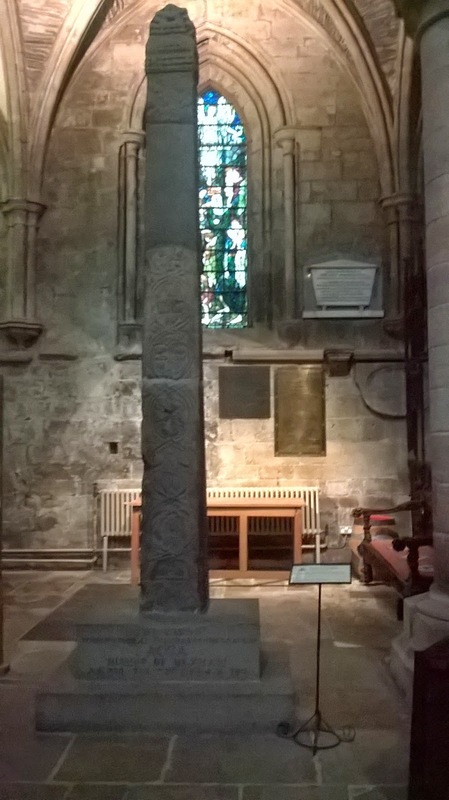 The Abbey was built by Wilfred, Bishop of York Hexham Abbey is decorated to St. Andrew and on Wilfreds' trips to Rome it's believed he may have brought some relic, e.g a piece of cloth that touched the saint's bones, venerated from St. Andrews in Rome, where he worshipped. This was kept in the crypt for pilgrims to worship . 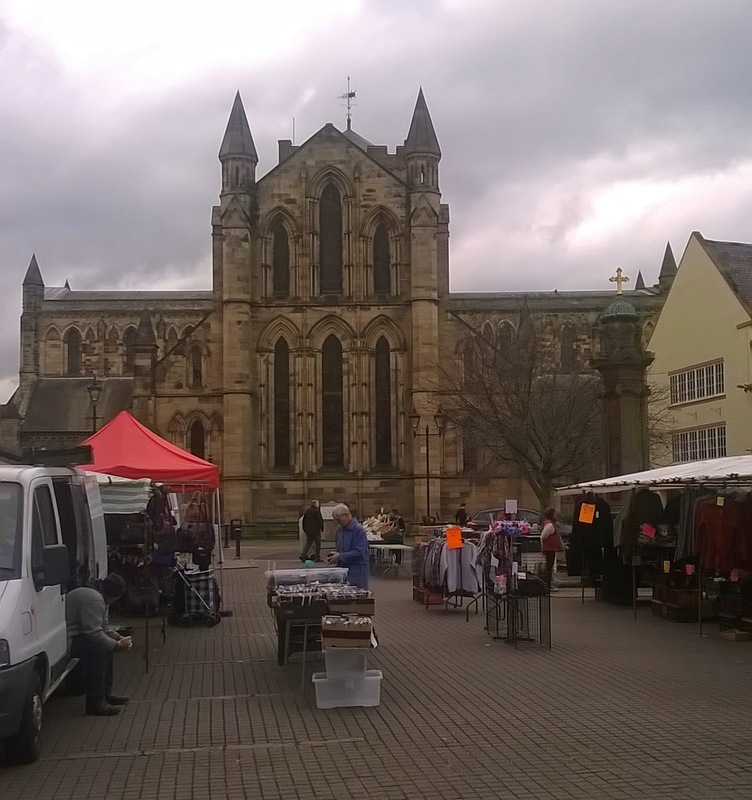 Originally, Hexham Abbey held substantial amount land known as Hexhamshire and it remained so until the 16 century. 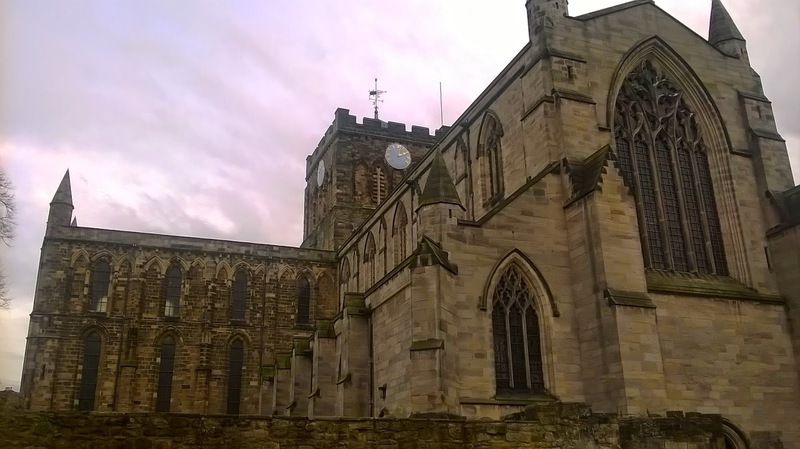 Æthelthryth, Queen of Northumberland donated the land for the Abbey to build on and use it. 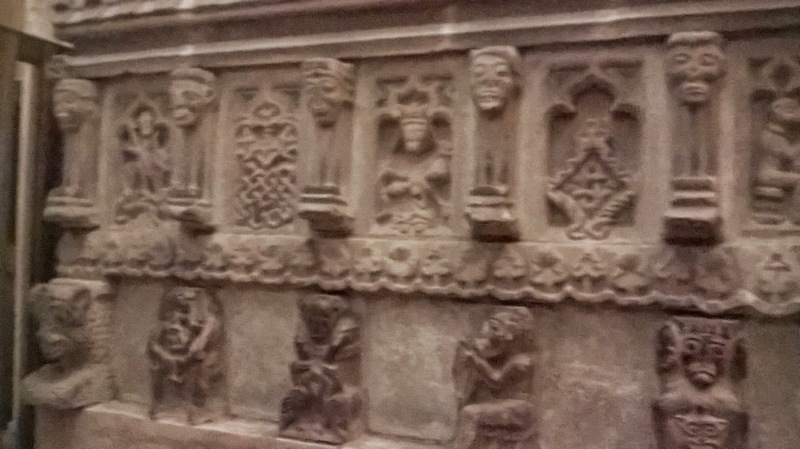 Historians believe that the original church was built in the Roman basilica layout and was one the first to utilise stone,which is possibly reused stone from a Roman fort from Corbridge. Wilfred was banished from Northumberland due to disagreements between Wilfred and the king of Northumberland, as Wilfred persuaded the King's wife to devote herself to Monastery life. 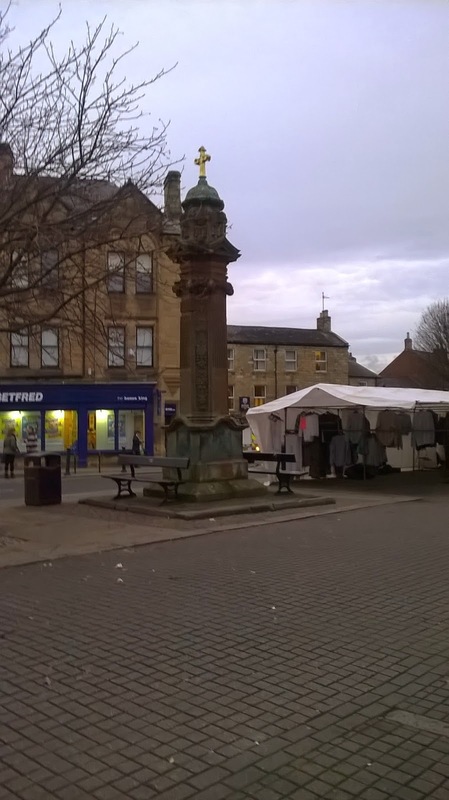 Twice Wilfred made trips to Rome enlisting, it's supported the council found in favour in 679 and was rejected in 703, and was granted his title for Hexham and Ripon, where he died shortly after. Wilfred implemented Benediction, practice's emphasised study and copying of scriptures.His friend and successor Acca improved the church,through adding paintings, sculpture, and wall hangings. He created, a library and introduced a music ten Europe. In 821,the Church was no longer a cathedral, and the monks abandoned their monastery. 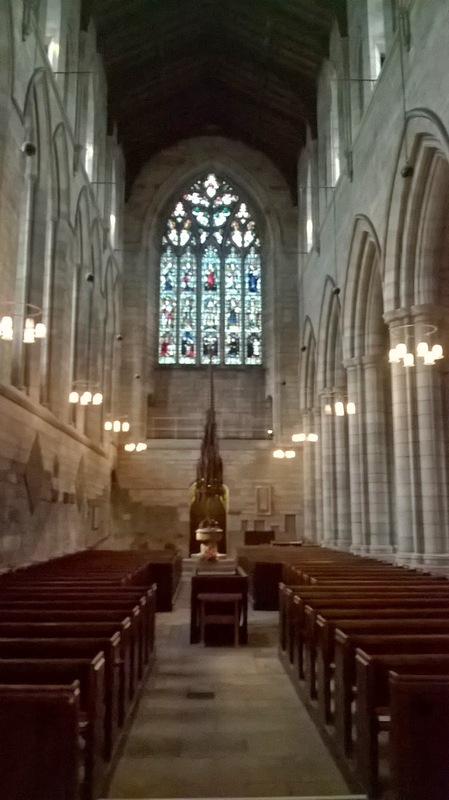 Due to the Northumberland King's loss of power through invading Vikings and their attacks damaged the Cathedral. However, the church survives serving as place of worship for the locals and one priest. 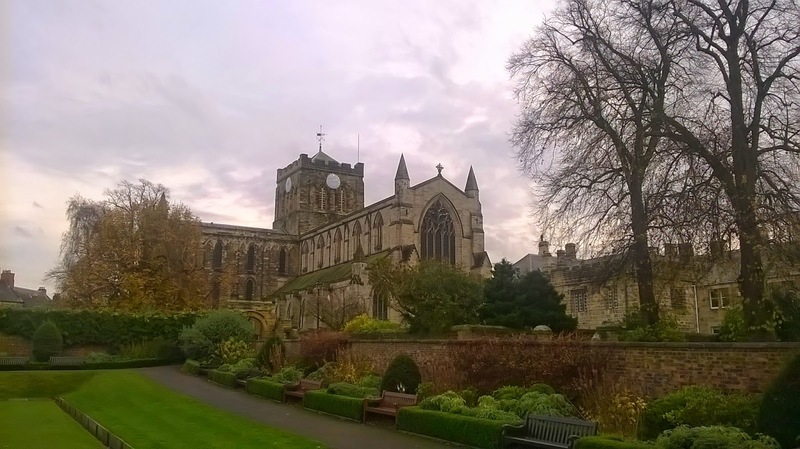 In 1083, the priest Elaif obtained grant to rebuild from the church from the Archbishop of York, who was Norman and in the Archbishop of York installed Cannons to restore Hexham's monastery and church. In between 1180- 1250, In 1280 the cannons changed their plans wanting to enlarge the church with changing the layout of slype and cloister layout. 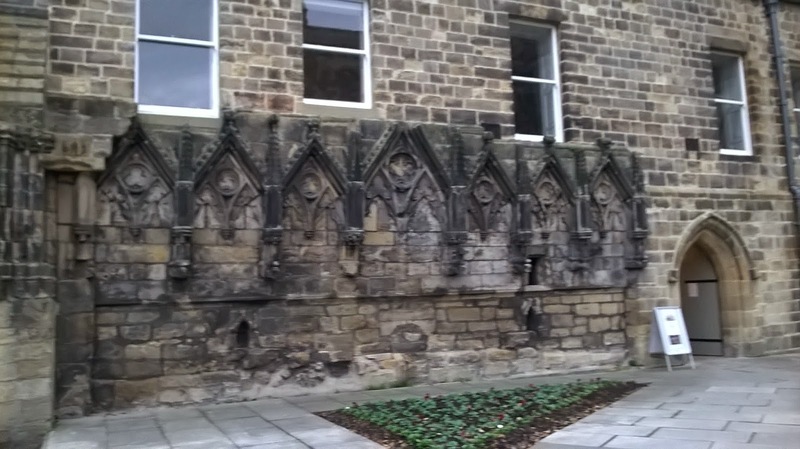 The cannon were influenced by new emerging Gothic style incorporating stonework, rich decoration, pillar shafts and pointed arches . 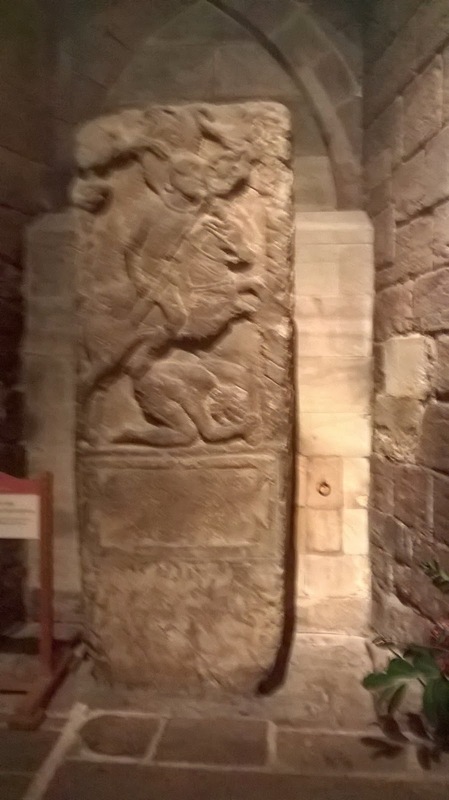 In 1296, Tynedale were involved in the Scottish dispute for the throne as William Wallace and his army marched to Hexham, set it and it's priory ablaze. 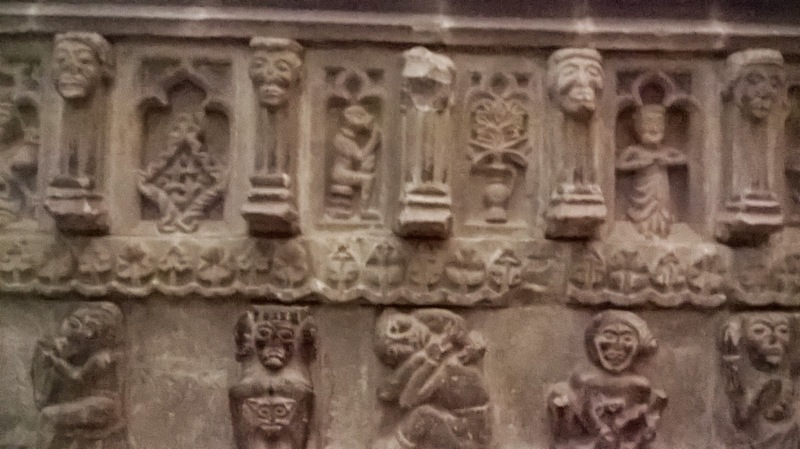 In the 15 century Roger Thornton had left money to for building churches, the personal belief if they donated money to the local parishes,and helped to design, along with building chantey chapels where prayers were said for their souls. During the reformation of Henry VIII, in 1536 commissioners tried to close to the priory down the cannons refused and fought to prevent this from happening. In 1537, the Priory was closed; the younger cannons were chucked out, and the elder ones were given a gown along with forty shilling to act as a pension. The Priory continued exists only as a Parish church with a single priest. The priory buildings became home for Lord of the Manor. In 1625 Worshipful company. By the 1700's the Nave was abandoned and became graveyard. In 1830, the east in disrepair and the East part was disassembled and rebuilt on designs replicating the Whitby Abbey, work began in 1858. 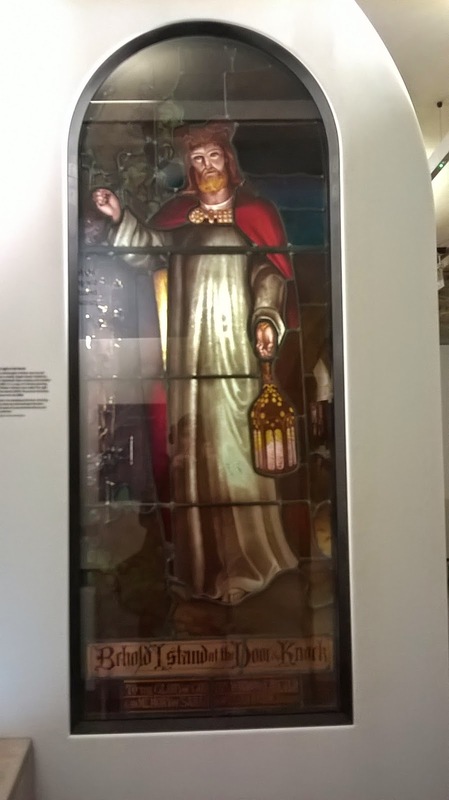 A lot of the stain glass is from the Victorian era as well. Rev. E.S Savage persuaded Thomas Spencer, to endow £12,000 to rebuild the east side of nave. Savage obtained Temple Moore, to build (he primly utilised) the Victorian Gothic revival style and built the appearance subtly different from the Medieval style and the work was finished in 1908. 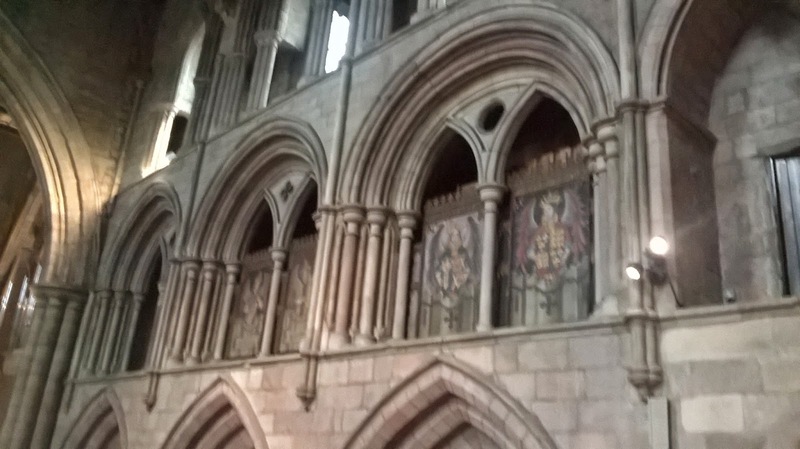 Even today Abbey still envisages Wilfred's and Acca legacy still live on as the Abbey is utilised for the local population to worship, community uses as place of meeting, displaying local art and producing harmonious choirs. 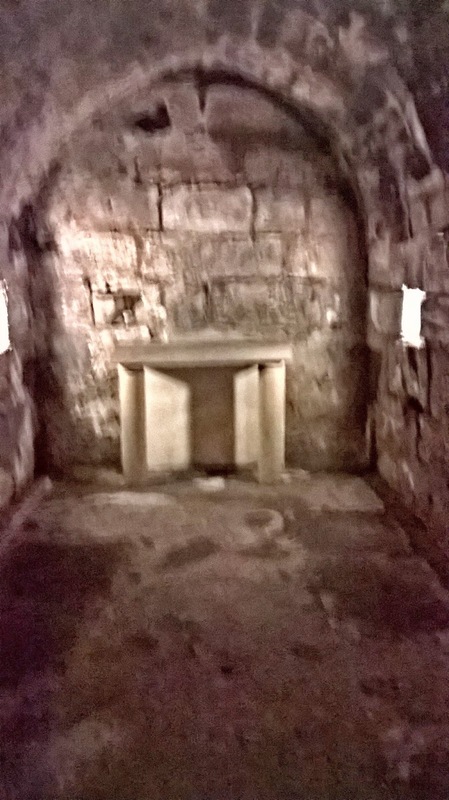 For me one of the most exciting time, as it was my first time visiting the crypt. 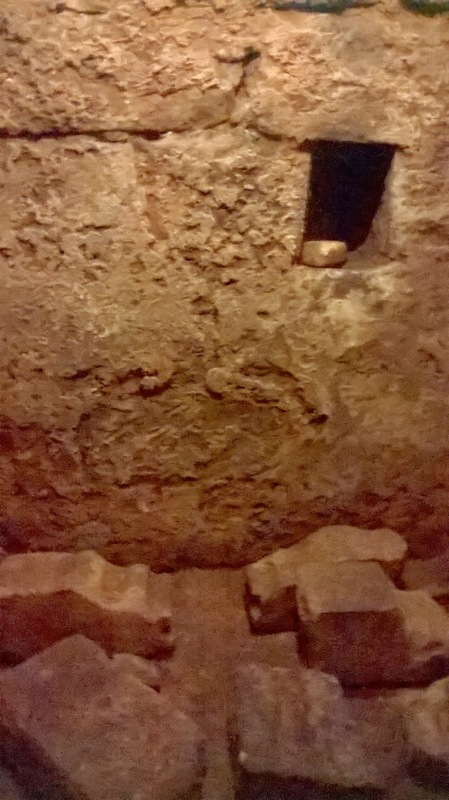 The crypt is original foundations existing are from the seventh century. 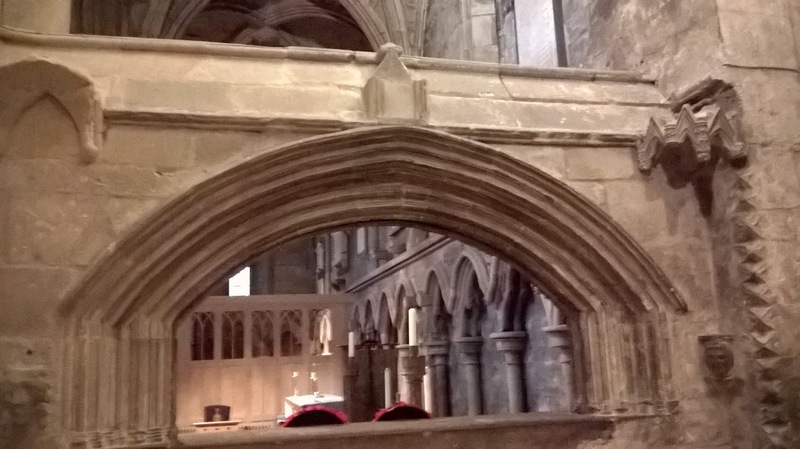 It was rediscovered in 1725 a builder who was working check on the arch way on the North side of the church started to bow. Believed this may of have been caused by subsidence. Builder was digging down and fell into a large hole. 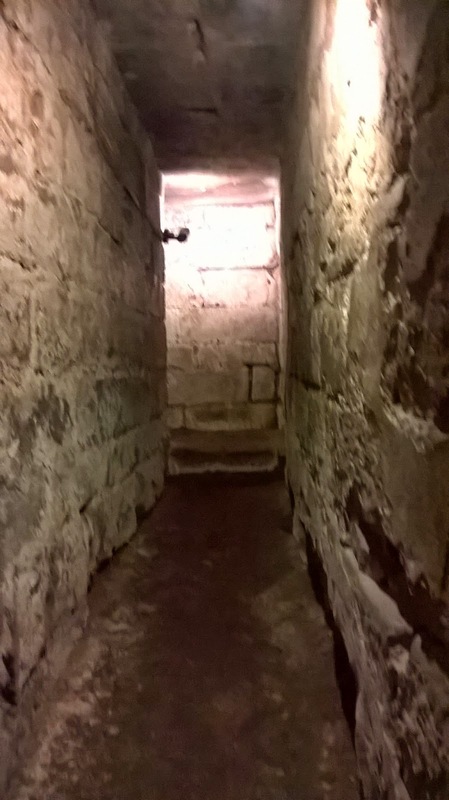 He rediscovered the original passageway of wilfred's crypt which had been lost over centuries.As the part of the church had been blocked up by Monks during the a Scottish invasion of William Wallace. It's believed that a Monk would sit hear and ask for donations from Pilgrims to fund the running of the Abbey and to assist the poor. 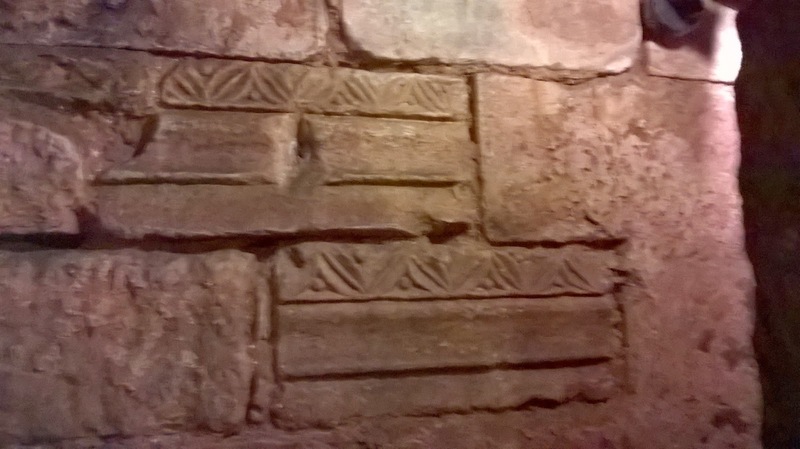 These are Roman decorative Roman carvings found in the walls of Crypt. This was my favorite part of the church I love the three story arches, which offer complete difference in characteristics. 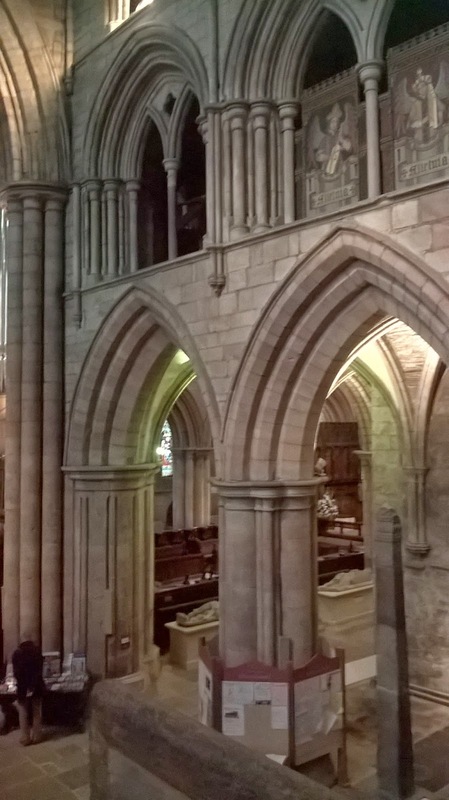 This part was built between in 1180 and 1215 and was built in the early English Gothic style.Formed of finely detailed pointed arches accompanied by a semi-circle aches separated with smaller delicate arches. 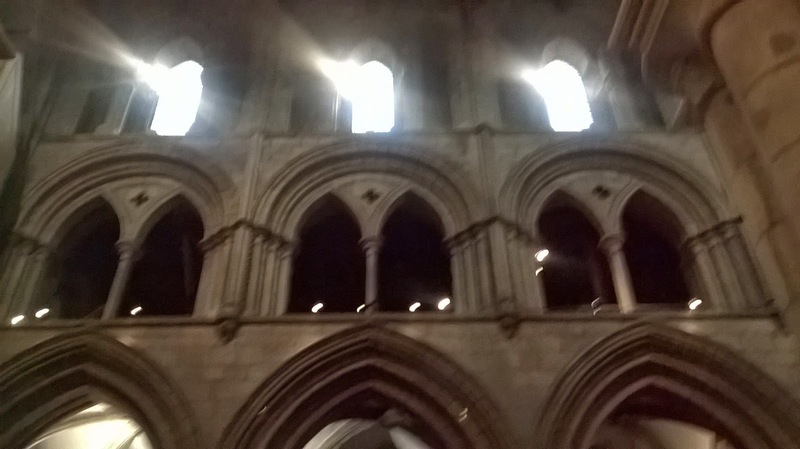 It was built allowed light into the building which in both physical and spiritual allowing God to come through in the essence of light creating a divine feeling amongst worshipers. 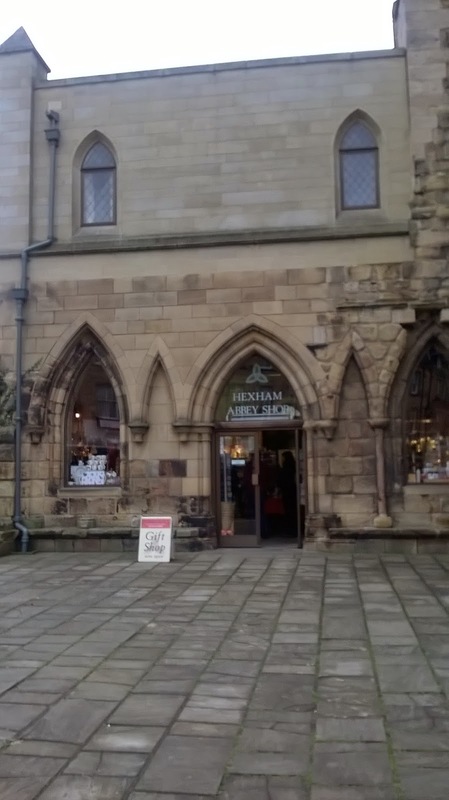 This is the Abbey shop where I purchased my book about Hexham Abbey. Originally, would of been the Monk's dormitory and at midnight cross the Vestibule to attend prayers. 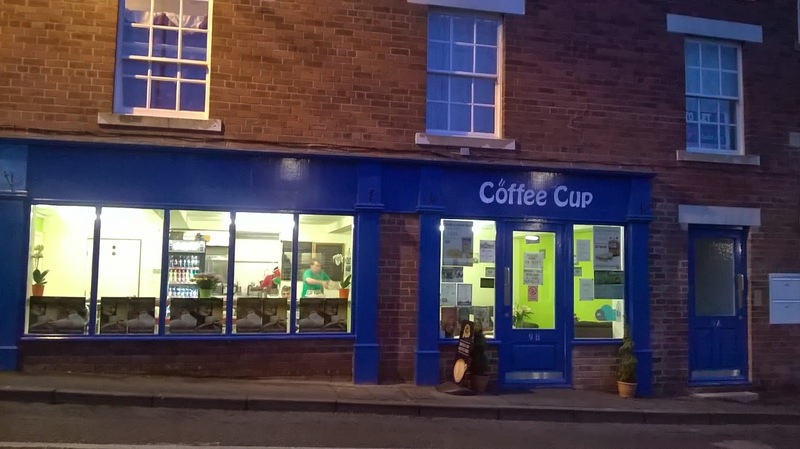 I found this little local cafe opposite the bus stations, the Coffee cup. 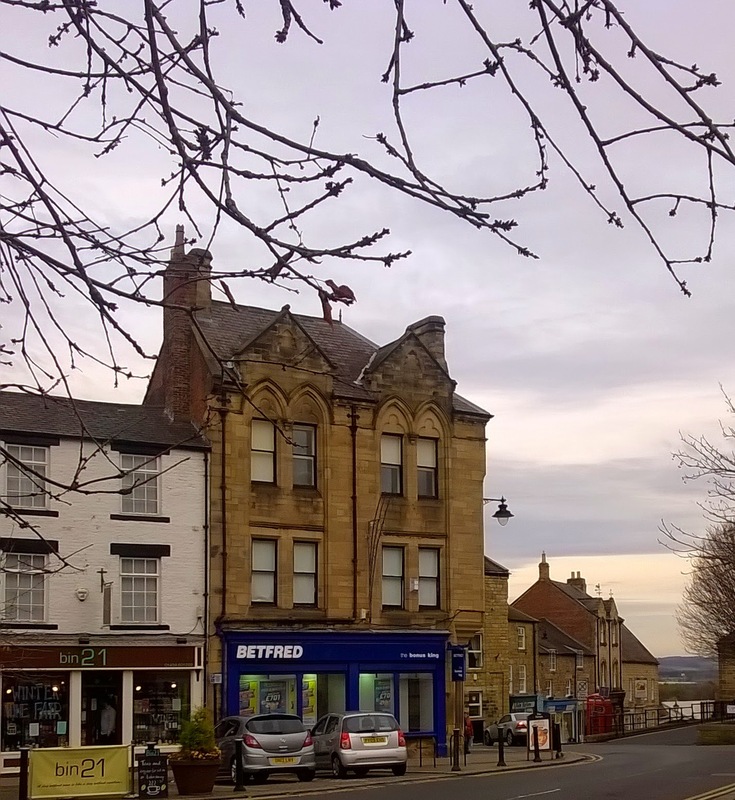 It was kindly recommended after talking to the customer assistants, who worked in Hexham Abbey shop. 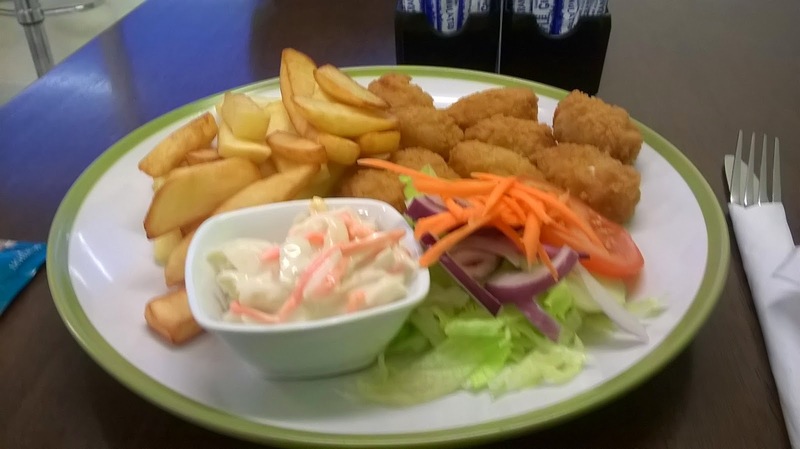 It was reasonably priced along good selection of menu. As I get older I prefer to support local businesses, rather than mass cooperation owned, I tend to find that the price are more expensive and the quality of the item is substandard. 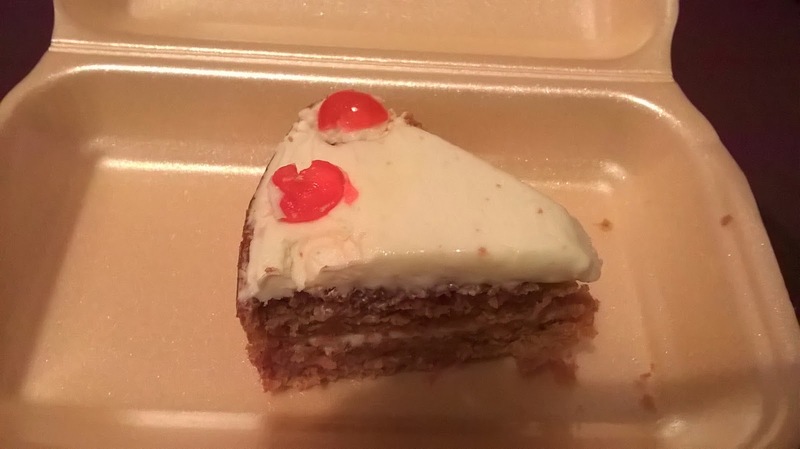 I also got some homemade carrot cake, it was £2.50 the cake was deliciously moist with beautiful layering of cream icing found on top of the cake and in between the middle layer.